Well done if you've been with me for all five days of this little video series. 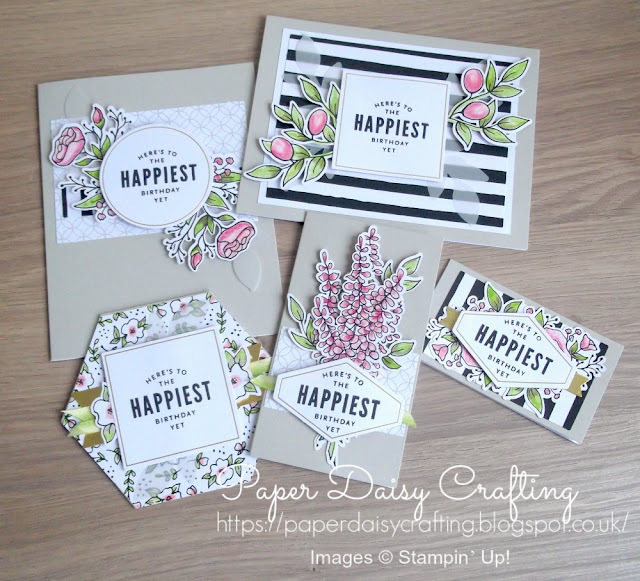 I've been showing how I put together the cards from the "Lots of Happy" card kit. Today's tutorial shows how I made the smallest card out of the set, shown on the right here. Hope you've enjoyed this little series and found it helpful! All the products I have used to make this project are all available from my online shop. 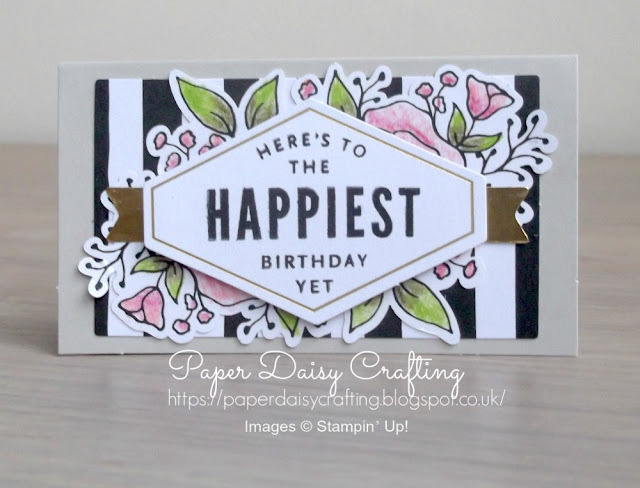 Simply click "Shop Now" button on the top of this page or click any of the images below to go direct to that item in my online Stampin’ Up! shop. If you order from my online shop please use my monthly shopping code (below) to receive a free thank you gift from me as I really appreciate your business. If you would prefer a more personal service, have any questions or need help with your order, please either send me an email or give me a ring. I'll be more than happy to help. You can also find me on Facebook, Instagram, Pinterest and YouTube - links on the left of this page.